Especially if it’s the night of the big game, plan your date at a local sports bar where it is being shown. Double check beforehand that it’s not going to full of rival supporters, unless wrestling is your thing… It’s a win-win date idea if you’re not a fan yourself, they get to watch their team, whilst you get to watch the drinks pile up! Make a competition out of a competition by placing bets on the outcome of the race or match. If you bet money and you win, this is extra money to spend on your next date. It doesn’t have to be money though, you can invent funny forfeits or challenges for the loser instead. Betting is a great way to create a shared interest between you. 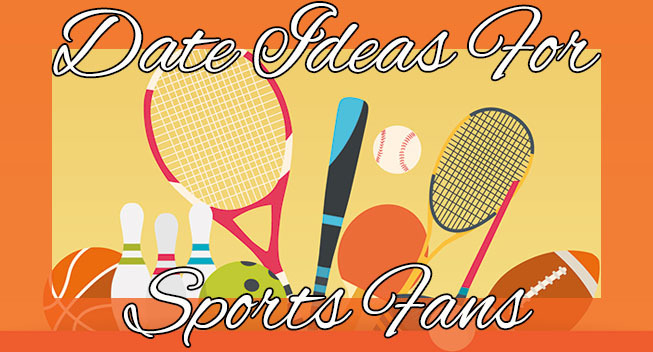 It’s the obvious date idea for any sports fan, but it works. Get tickets to the event. Sit together in the crowd and cheer/jeer along with them. You’ll forget all about awkward silences when you’re 2-0 up against that team that thought they had this in the bag. Head home. This could be where your team are based – their stadium or town. This could be a certain track or place where the sporting events takes part. Wherever it is, make a day of it, and explore the origins of your favourite sport together. Try these date ideas and you’re bound to score. The easy way to find a fellow teammate on JustSingles is to filter your searches by Interest. We’ve even divided everyone up by whether they like playing sport or watching it. Take a look!